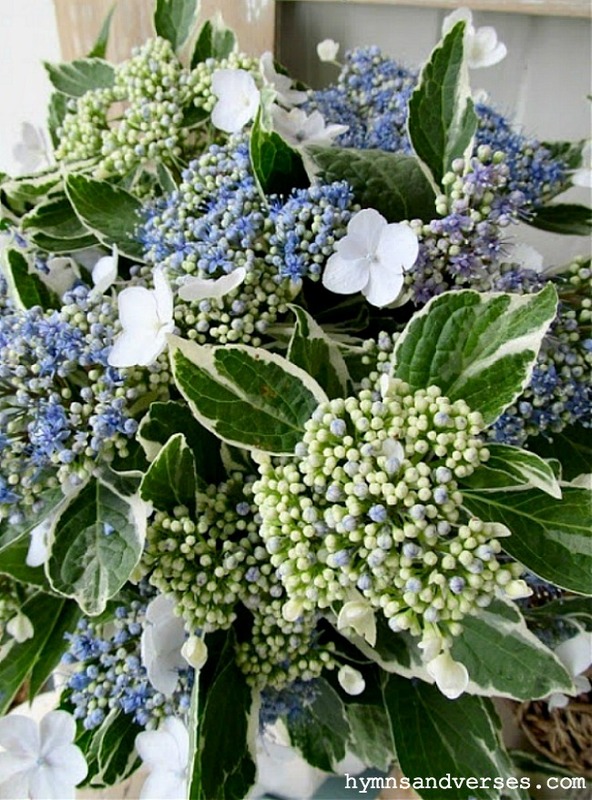 Several years ago, while shopping at a local nursery, I fell in love with a hydrangea – Hydrangea Macrophylla ‘Mariesii Variegata’ or a blue lacecap hydrangea with variegated leaves! I brought it home with me and planted it where it should be planted – where it would get part sun and part shade and have good drainage. I even added fertilizer to the soil! I admit I didn’t know much about hydrangeas then. That first year the hydrangea looked really pitiful in late fall with no leaves and dead looking branches. I decided that since I prune other things in the fall, I should also prune back the hydrangea — wrong move! Don’t prune a lacecap hydrangea in the fall! The next summer, my lacecap hydrangea didn’t have one flower! I have since learned that you should prune a lacecap hydrangea right after they finish flowering – good tip to know! The following year, the hydrangea had lovely variegated leaves, but just a few flowers. Each year it has improved to the point that finally, this year, my hydrangea is full of beautiful, blue and white lacecap blooms with large green leaves that have cream colored edges and I just had to show them off! I wish I had taken the time to research when to prune a lacecap hydrangea before I cut those branches!!! But, I hope that you will learn from my mistake! Beautiful! I love plants where the leaves are variegated that way they are still really pretty even when they aren't in flower. They are beautiful, Doreen! I love the variegated leaf! Put in a white vase really makes the white blooms pop. White and green with those little closed blue buds–love it! You have a green thumb with those lace caps, that's for sure! Oh how pretty! I love the lacecaps and the variegated leaves. And we made that pruning error a few years back. I guess that's how we learn! Beautiful! I'm glad you never gave up on it…live and learn! I'm always amazed and a little confused about how and when to prune things…each plant is so different. Love these in your pretty vase! Your hydrangea arrangement is lovely. Love the variegated leaves. I have two lace caps..one is beautiful and the other is pitiful. I really need to find it a new home. Wow, this is a gorgeous arrangement. 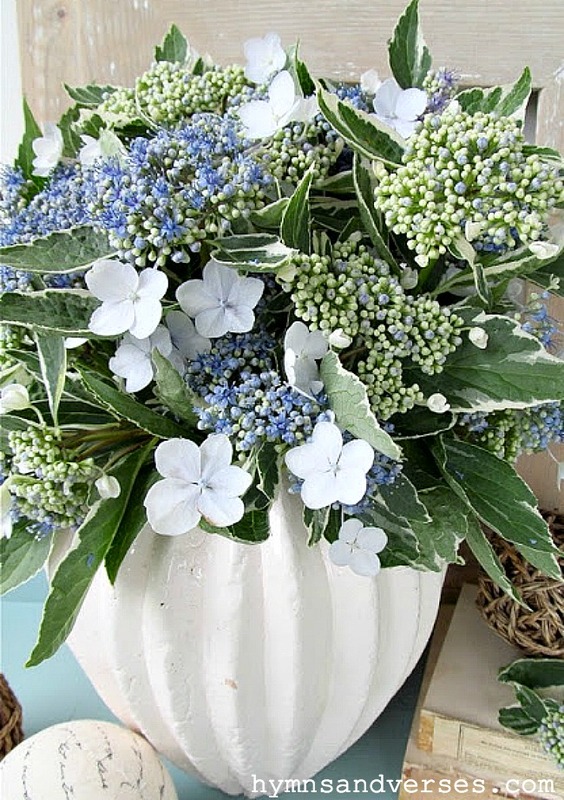 I think that the variegated leaves look great in the arrangement of blue and white flowers! 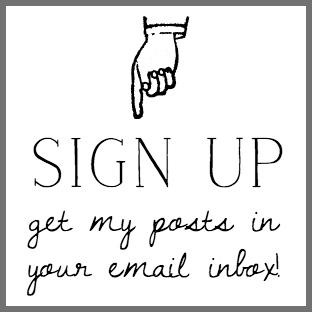 You have the most beautiful blog. When I saw the name, I knew I would love it! Sweet hugs! 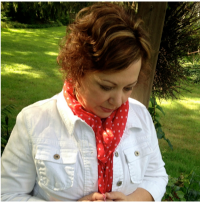 Doreen, So beautiful!!! YOu have such a great eye for photography and all things lovely! Thanks for sharing your talent! 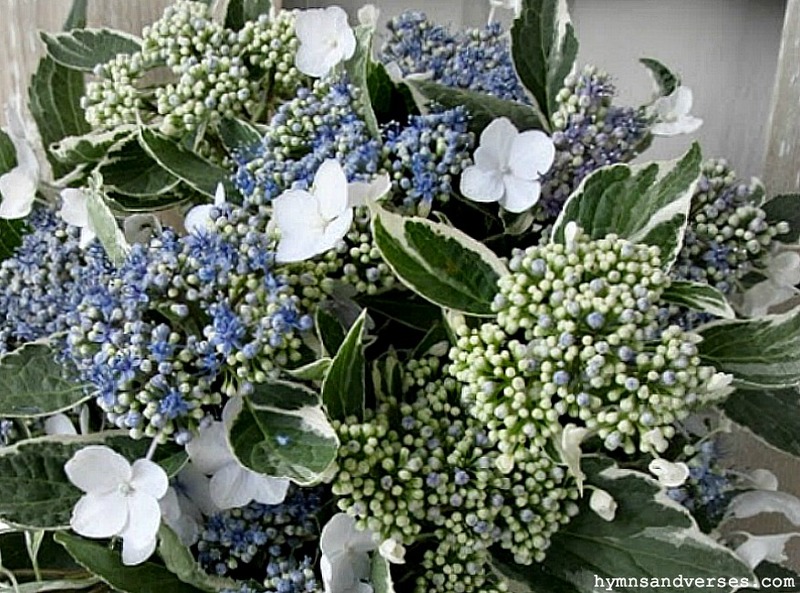 Your hydrangea arrangement is just so beautiful. Love the variegated leaves. Hi I love hydrangea plants and your arrangement is so beautiful! I saw it on share your cup thursday. Beautiful! I love the lacy blossoms and the variegated leaves. Glad it is doing so well. Thanks for sharing it with SYC.